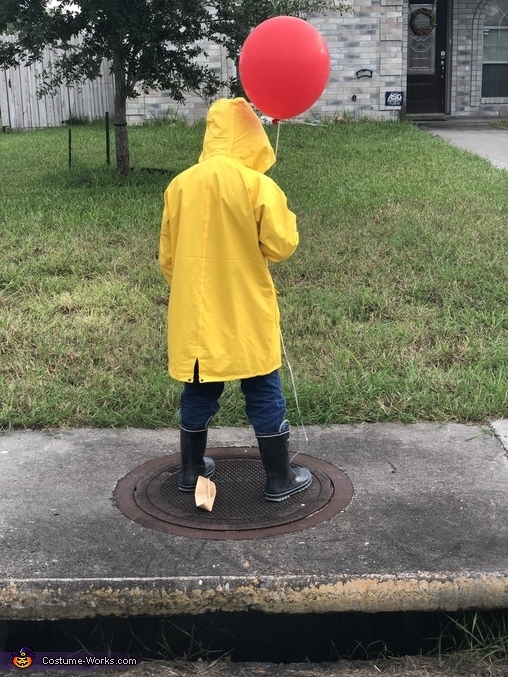 My son, Jacob, is Georgie from “IT. We just ordered a yellow raincoat and rain boots. He made the boat out of construction paper and we bought a red helium balloon.